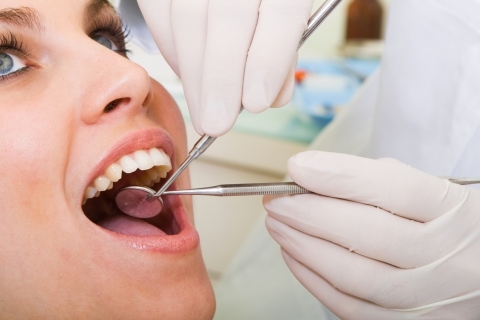 White tooth fillings are rapidly replacing the traditional fillings made of amalgam or gold. These two metal-based materials were used primarily for their strength and durability — they were functional and held up for years. Eventually, the search began for a material that would not only be functional, but also aesthetically pleasing. That material turned out to be a composite resin, which is strong, durable, and, most importantly, similar in appearance to tooth enamel. Composite resin can be tinted to perfectly match the natural tooth coloring, thus making any dental restoration almost invisible to the untrained eye. No more cavity fillings that are glaringly visible to the world — just beautiful teeth that have been discreetly repaired, yet look pristine, healthy, and natural. For more information about white fillings or to book an appointment at our Orléans dental clinic, contact us today!